I am a writer. I do other things to earn money but primarily I write as a profession and have done so since 1995. That makes me both old and chair-bound. And the attractive face of a chair advertising campaign, I am sure you will agree. Writing is my main job. It pays my mortgage and other bills. It's not a sideline. It is not a hobby. And it has been relatively good to me over the years. Writers (and bloggers) often claim to be poor. I can empathise with this, as I work just a stone's throw from the work house mentioned so often in the works of Dickens. I've never been inside but it's just three doors down from my office at number 30 Cleveland Street. Its proximity certainly helps keep things in perspective. Regardless, I decided to look into the idea of buying a really good chair. I spend a lot of time sitting on one and, as it's my job to do so, I thought that maybe I should consider buying something better than the tatty £20 object I grabbed from Staples once, years ago. My chair is rubbish. It's not particularly comfortable and, while it does rotate (much to the amusement of very young visitors to my office), I know for a fact (or, at least, suspect deeply) that any grown-ups who pass through my main work environment look upon my choice of seat with enormous, undisguised and vigorous disdain. 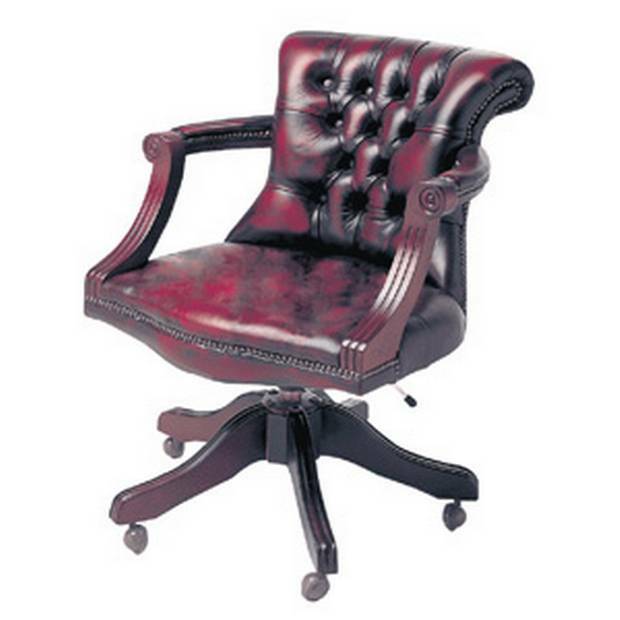 So I Googled phrases like, "best office chair" and, much to my own personal revulsion, "ideal blogger chair". It seems I have a rather limited choice. I could buy something dreadfully similar to that upon which I already repose heavily to replace my £20 Staples horror; opt for a John Lewis £100-or-so standard affair; or spend close to £1,000 on some crazy bit of Swedish ultra-design. £800 or more for a chair sounds simply ridiculous. I hesitate to spend more than £20 on a bottle of brandy. At the end of the day, I've always sat on £20 chairs (and drunk £20 brandy) and managed to make a living. I doubt a £100 leather number would help my back or productivity so it's incredibly hard to justify spending any serious change even on something that is possibly the most important tool in my office. So here's my proposal. If you work for a swanky Swedish chair company, please send me a middle-of-the-range chair. Something good but not bonkers-expensive. If I make £1,000 or more over my usual income while using your product I'll buy it and let everyone know. And, if I fail to develop back problems in the next 20 years, I'll also update this blog to that effect. In the meantime I'll perch on my decaying, cheap seat and keep on working away. If you are an aspiring writer I suggest you do likewise. It's not your chair that will keep you going. It's the RedBull*. * If you work for RedBull, please send me a vast quantity of your energy drink, which is the least vile option on the market**. ** If you work for Emerge, please send me a vast quantity of your energy drink, which is possibly one of the most vile, but effective, options on the market.